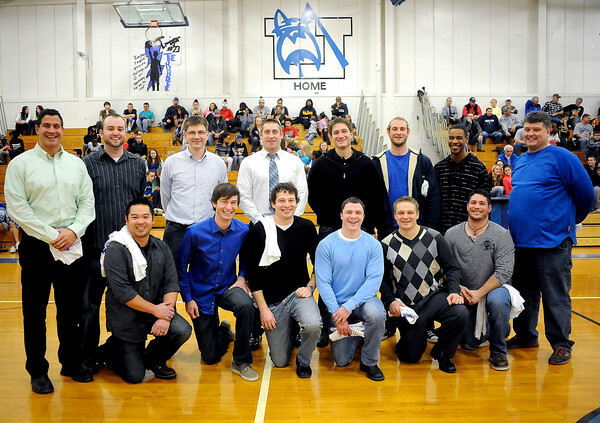 Union's 2003 WPIAL Class A players and coaches. Front from left: Prentiss Brown, Andrew Slater, Denny Flynn, Adam Moore, A.J. Bernstine (Statistician) and Damian Cassano. Back from left: Steve Antuono (Asst. Coach), Craig Hannon, Caleb Pardick, Steve Brenner, Bobby Bondi, Mike Conti, Chris Hunt (Manager) and Mark Stanley (Coach).